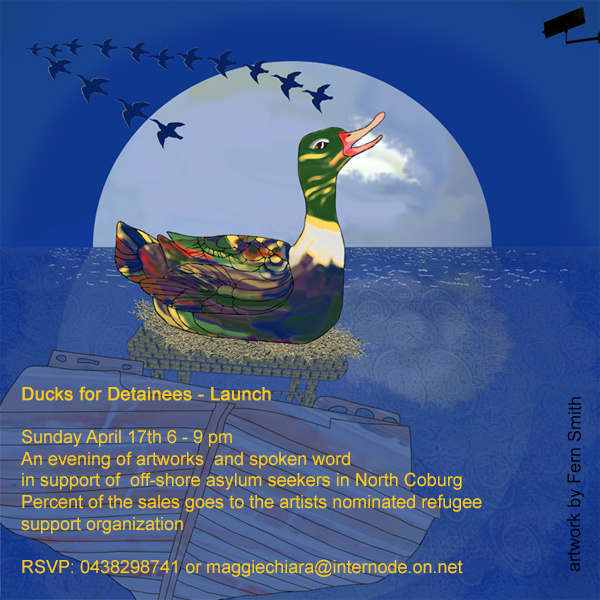 Ducks for Detainees is an exhibition organised by Maggie Chiara a fellow artist and friend. I am honoured to be invited to exhibit for this worthy cause. Space is limited so please contact Maggie for location and booking.